Hotel Desert Wind - The architecture of Hotel Desert Winds is a blend of ancient and modern times. It has articulately made stone Jharokha’s and Todis. The Hotel Desert Winds is ideally located in peaceful and serene environs. It is only 1 Km. from the Junagarh Fort, which is one of the precious gem of Indian architecture in the midst of Thar Desert. From the Hotel roof top one can have a splendid view of the unassaible fortress Junagarh and the BIKANER city. 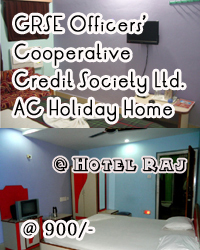 The Hotel has 22 well furnished Super Deluxe rooms, double bedded, air conditioned rooms. To ensure warm service & other hospitality requirements, attention to detail is given to even the smallest activity. The Hotel Desert Winds is owned and managed by Sh. Arjun Singh, Dy. Dir. (Retd) Rajasthan Tourism, who is the son of the Late Rao Bahadur Colonel, Thakur Jeoraj Singh of Harasar Thikana (ADC to Maharaja Ganga Singh ji the 21st ruler of Bikaner). Late Rao Bahadur Colonel, Thakur Jeoraj Singh was also the Army Minister and the Home Minister in the erstwhile Princely State of Bikaner. Pick up facility from Bikaner Railway Station & Bus Stand available on prior information. Luxurious and clean hygenic toilets with hot & cold over head shower. Check out, check in 12 noon. Concessional rates for students of School & Colleges on education tour. Separate and Secure rooms for single lady guests. Special diet for the unwell. Sand Dune Dinner organized for a group of min. 10 Persons. Two hours camel ride is our specialty. Big Camel Safaris of longer duration with tent / mud hut accommodation are also organized.